Currently the American Red Cross has several disaster preparedness and organizational development programs funded through USAID/OFDA and private philanthropies in Indonesia and Micronesia and expects to open new programming in Timor-Leste. We are exploring other growth opportunities in our current countries of operation. The American Red Cross collaborates with the Indonesia Red Cross (PMI) and Micronesia Red Cross (MRCS) who are our local implementing partners. Support access to reference materials, promote on-line training resources, co-facilitating technical trainings and delivering technical presentations during training events and other meetings. Identify and select appropriate skills development opportunities that would enhance staff capacity. Proven field work experience in disaster response operations or similar contexts. Fluent in English and Indonesian (written and spoken) required. 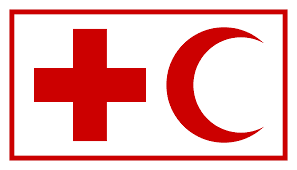 Please submit your cover letter and curriculum vitae in English no later than June 20th, 2018 to recruitment@amredcross.org . Place the job title in the subject line and include your name in all application files. Include in your application your monthly gross salary requirements in IDR and at least 3 references.